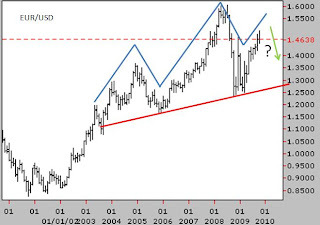 Happen to see this 10 years EUR/USD chart. After looking at it, there might be a possibility that head and shoulder pattern may be forming. The right shoulder is in the midway of completion. Will the pattern play out? If so, what will happen to the equity market?